So I made a new header for this blog. The grey one had been a bit bland to me for a long time, since the “grey phase” I had for a while has been gone for a looong time :D But now everything is new and fresh and I’m happy. 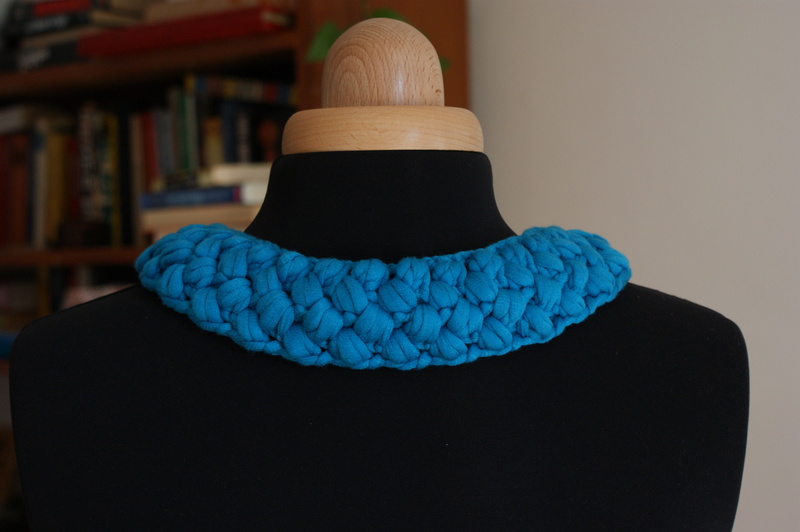 The background for the banner is a weird necklace/headband thing that I crocheted using a sort of popcorn stitch. I haven’t quite decided if I want to wear it or not, but I like the texture. 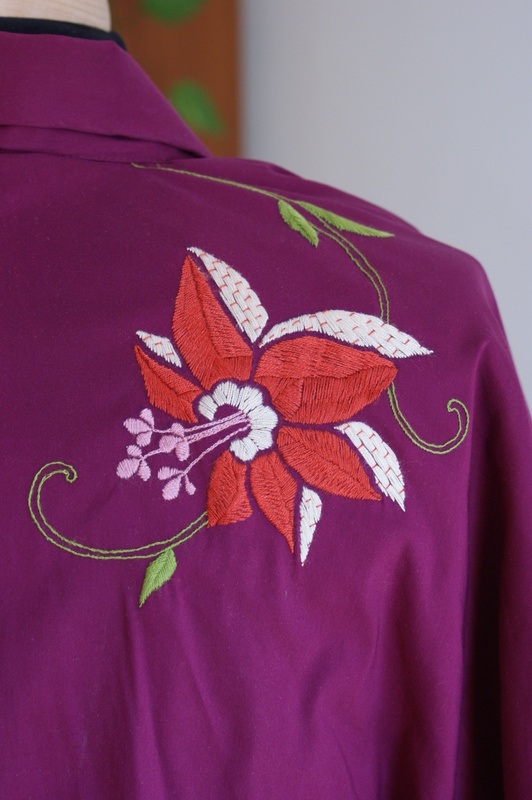 I also considered using an embroidered flower I did on a kimono I made, but while taking photos of it I realized that I only ever teased that project, but never showed finished thing. I used the same tutorial as Catherine Daze, adjusted to my measurements. 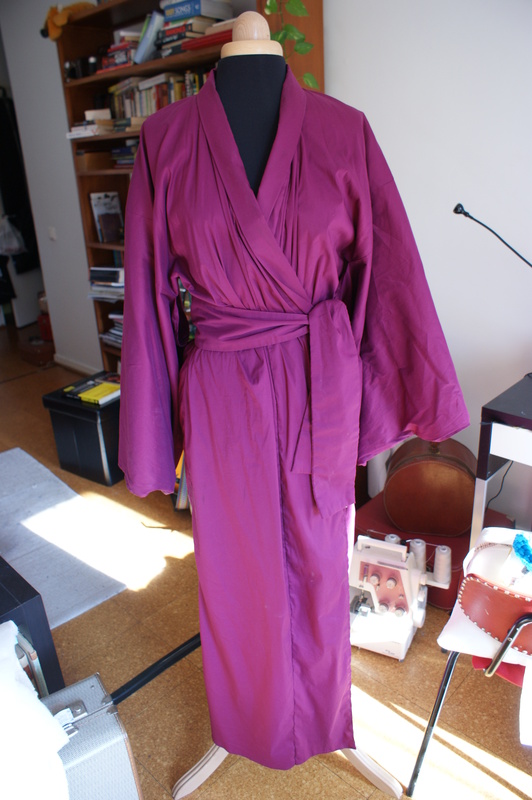 The fabric was less than ideal though, a bit too stretchy. The embroidery itself was based on something I found by googling “traditional Japanese embroidery” (seriously pretty stuff, by the way), or something along those lines. 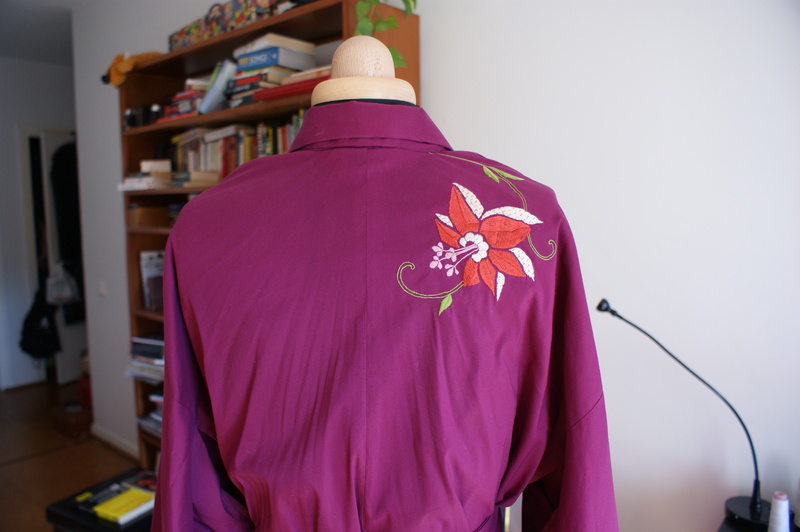 The end result was good, though in hindsight I can’t really think of why I decided to use so much time on something so everyday as a dressing gown :D But I suppose it was good practice, at least. 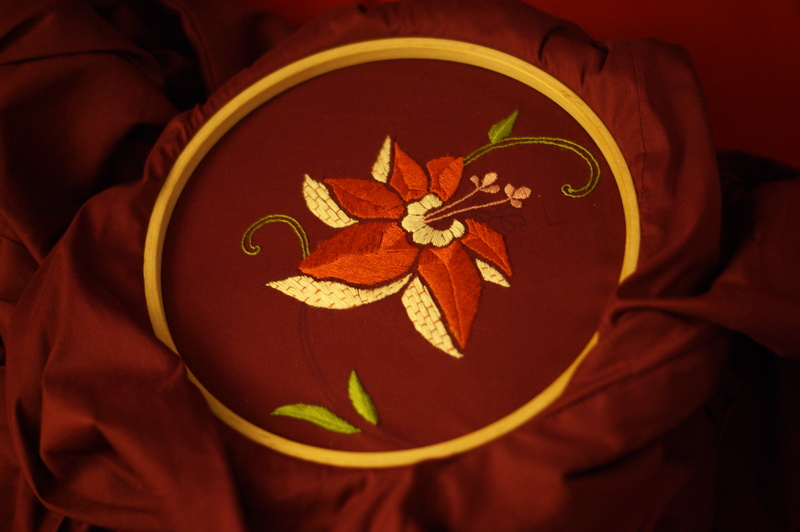 I should do more embroidery anyway, it’s very relaxing. Crappy picture, but yay, stylized flowers!